The TT season starts early each year with ‘sporting TTs’ in February and March, followed by a huge range of open TTs of 10, 25, 50 and 100 miles. East Grinstead CC and Redhill CC run two, excellent, weekly TTs around Horne. The EGCC 10 mile TT is on Tuesday evenings, run from the end of April to August. Redhill CC run their popular 9 mile TTs on a Wednesday evening. These are very friendly local events, ideal for newcomers to Time Trialling. If you haven’t TT’d before you’re in for a pleasant surprise. First, it’s NOT about competing with other people, it’s about competing with yourself and your previous time. 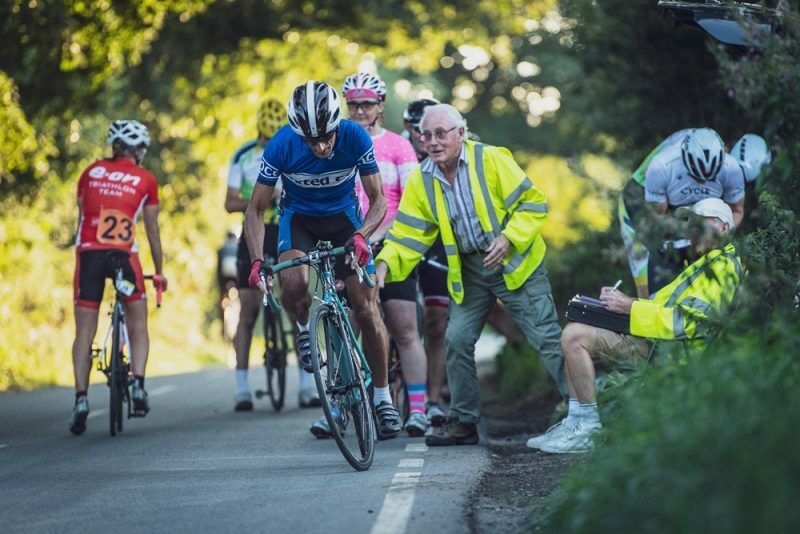 Whether you do 10 miles in 25 or 35 minutes doesn’t matter, what matters is being there and taking part and there is a real camaraderie with Time Triallers. Don’t be afraid! Fear of ‘failure’ is often a reason why people won’t Time Trial but the only ‘failure’ is not trying, don’t let it keep you from this very exciting mid-week activity. It’s fast, fun and fabulous training. Most people who do a few Time Trials soon become addicted, it’s that good! Big prizes! At the end of last year we awarded prizes for men, women, youths and juniors in 10, 25 and 50 mile distances. Perhaps this year we’ll see some people do a 100 mile TT. Also, we will distinguish between road and TT bikes. Volunteers for marshalling: Time Trials require marshals and Oxted members are excellent at making the effort required to run events. If everyone helps with one or two sessions per season, it’s easy. Richy Heath our TT Secretary will keep you posted about other ‘open’ events around the South. These big events are thrilling. Most are early morning but some are on Saturday afternoons in the summer season.